When Corrie’s military husband left for war-torn shores, he said he’d be back. It was a promise he couldn’t keep. Now she must start a new life in Jarrod’s childhood home, his last gift to her. With her grief threatening to drown her, she begins renovations on the home with Jarrod’s cousin, Eli. Eli’s friendship is a comfort, but she still longs for the security of her husband. Each room in the old house seems to carry his presence and before long, she begins to wonder if Jarrod really did keep his promise. Had he returned to her in a mysterious form? Or is there evil lurking among the walls? 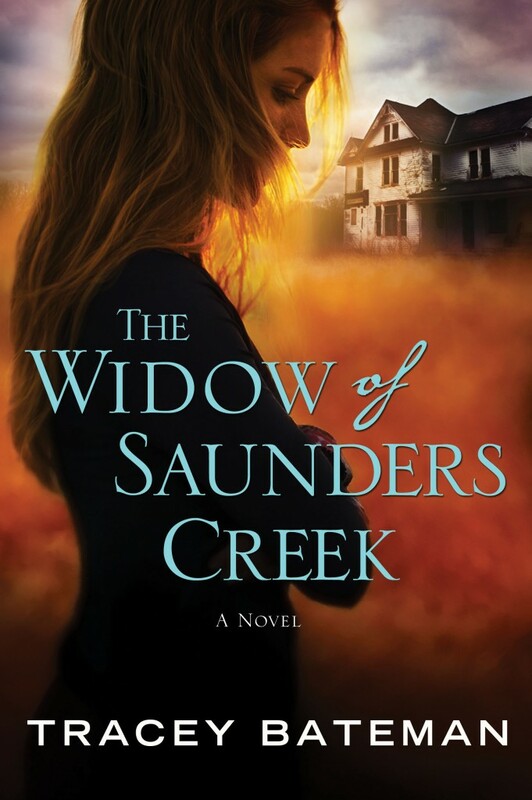 Tracey Bateman does a wonderful job of weaving truth with the supernatural in her book Widow of Saunders Creek. Although many claim doubt when it comes to ghosts and demons, Bateman’s book forces the reader to question their belief about such things. Can a spirt of a lost loved one come back to comfort and guide us in our time of need? Or is it simply just a figment of our imagination? Could we give up all we’ve ever known to be true and reach out beyond the grave? Is it love that compels us to do so, or only evil desiring our hearts? While Corrie struggles with unrelenting grief, Eli struggles to accept the death of the cousin he’s resented for most of his life. A friendship quickly forms between the emotionally-wrecked pair, but can their friendship save them from the true darkness that threatens their very souls? This entry was posted in Book Reviews and Recommendations and tagged Alicia C. Hall, Alicia Hall, blogger, book recommendations, books, reader, writer on March 24, 2013 by aliciachall28.